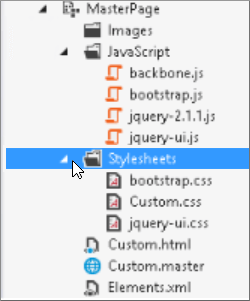 This article describes how to use minification and bundling techniques with Web Essentials to reduce the number of HTTP requests and to reduce the time it takes to load pages in SharePoint Online. 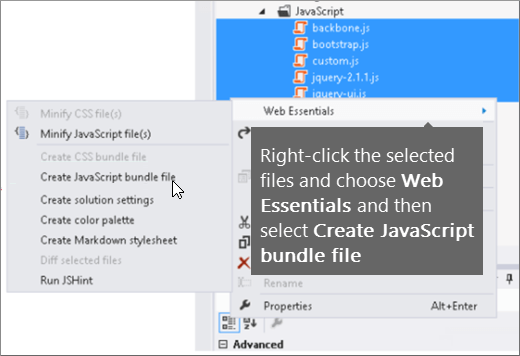 Web Essentials is a third-party, open-source, community-based project. The software is an extension to Visual Studio 2012 and Visual Studio 2013 and is not supported by Microsoft. To download Web Essentials, visit the website at http://vswebessentials.com/download. 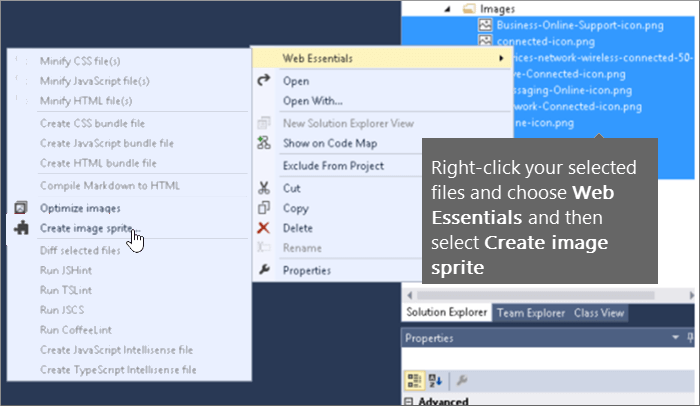 In Visual Studio, in Solution Explorer, select the files that you want to include in the bundle. When you load a page from your web site, you can use the developer tools from your web browser, such as Internet Explorer 11, to see the number of requests sent to the server and how long each file took to load. Choose a location to save the sprite file. 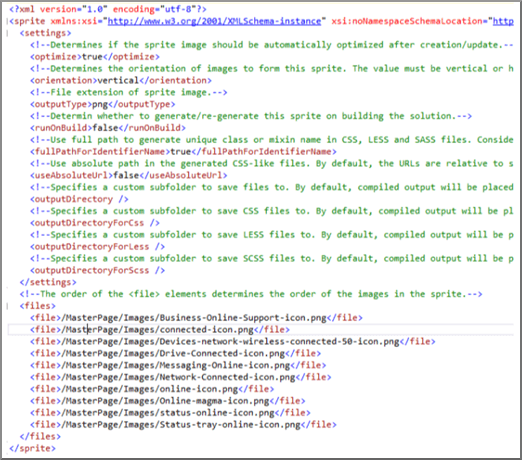 The .sprite file is an XML file that describes the settings and files in the sprite. The following figures show an example of a sprite PNG file and its corresponding .sprite XML file.